The goal of Faith Formation is to help people&apos;s faith become living, conscious, and active. We offer formation opportunities beginning with Baptism through adulthood. We offer many and varied opportunities for adults and families because our learning and growing as disciples of Christ never ends. New Prague Area Catholic Community&apos;s Faith Formation for children supports parents in their role as the primary educators of their children. We do this through faith sharing, prayer, liturgy, service, instruction, and fun! This can only be achieved through parental support and the many efforts of our wonderful volunteers who serve as catechists, chaperones, leaders, and speakers. REACH OUT in service and support of others. The resources on Vibrant Faith @ Home are free, but you must register and login to download the activities. More than 60 faith activities are published each season -- spring, summer, fall, and winter. From time to time, all parents need a little help. Sometimes, a piece of solid, encouraging advice can help you have an “a-ha” moment that changes the way you think and act. 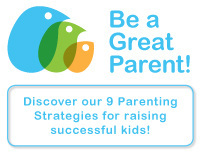 Instead of focusing on what’s wrong with kids, Parenting Further&apos;s positive, strength-based approach to parenting focuses on what’s right with kids (and parents), and the small, everyday steps you can take to help kids be successful in the future.